Fill out our "New Patient Form"! Pet Emergency? Call The Emergency Veterinary Clinic at (716) 839-4043! We are happy to announce that we will be bringing on another doctor starting on January 3rd 2019. Dr. Mary Driess will be working on Tuesday and Thursday mornings. With adding another doctor we will be doing morning appointments on Tuesday’s from 9a-12p with Dr. Teresa while Dr. Mary does morning procedures. On Thursday’s from 8:15a-12p Dr. Mary will be doing appointments while Dr. Teresa does morning procedures. We are very excited to add Dr. Mary to our little family. Our PRACTICE PHILOSOPHY is based on the GOLDEN RULE: Our clients and animals are treated with patience, dignity and respect, just as we would wish to be treated. We practice the highest quality medicine at a reasonable cost to the client; we tailor our services to the personal needs of each animal and owner; and we spend the time necessary to explain to and educate our clients so that they fully understand any recommended tests and procedures, enabling them to become full partners with the veterinarian in maintaining the good health and well-being of their animal companions. Dr. Teresa Labuszewski is a native western New Yorker, having attended Starpoint Central School from kindergarten through 12th grade. She received a B.A. in psychology from SUNY at Buffalo in 1975, a Ph.D in Psychology from SUNY at Stonybrook in 1980 and her DVM from Cornell University in 1984. "Just want to say thank you to Dr. Marky and the office staff for making Brodie so comfortable at his exam yesterday! I love that you really take your time to gain his trust and make it a positive experience for him. This was our best vet visit in years, and it's all thanks to your patience and caring. Thank you!!!" "Thanks to everyone at Animal Hospitable for helping my Jibboo make it through an extremely rough couple of surgeries. We weren't sure he was going to make it, but this place did everything in their power to keep him healthy and living. They made us feel like we were top priority AND a part of their family. We could feel the love and thanks and appreciation can't begin to describe how grateful I am for what they've done." "Keep doing what you re doing!! You and your staff are by far the most compassionate and sincere practice we have ever been to! It s so refreshing to have a place there cares for our fur babies as much as we do. Nice job team!! We are highly satisfied clients!" "I love the Animal Hospitable and Dr. Labezewski! She is the only vet I trust with my dogs. My family has been taking our pets to her for 25 years! How many people can say we starting bringing our dog here when I was in 2nd grade and I m about to be 32 years old!" 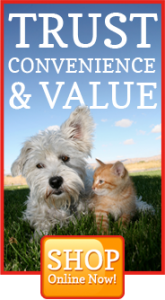 "Dr T & her staff are exceptional in how they treated my dog. I definitely would recommend them. I would give them more than 5 golden stars if it would allow. Thank you for taking Lucy in such short notice." 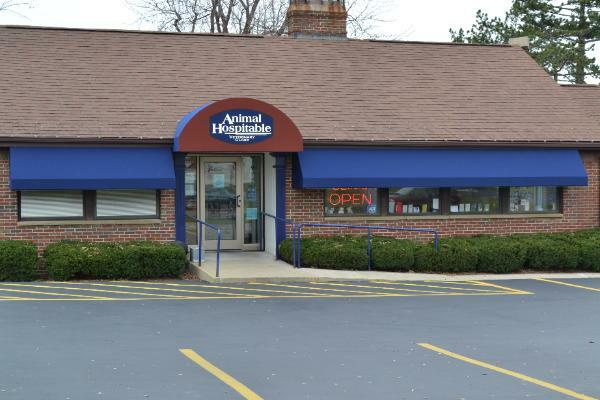 "I love just about everything about Animal Hospitable. Staff is always kind and respectful to my dogs and me. The facilities are neat and clean. I have the highest regard for Dr. Teresa and trust her judgement and knowledge."